As this game recently turned 18 years old I decided to give it a write up. I find it amusing (and at the same time horrifying) that Grand Theft Auto is old enough to go into a UK game shop and buy its self now. So Christmas 1997 I was getting Playstation one games as gifts. 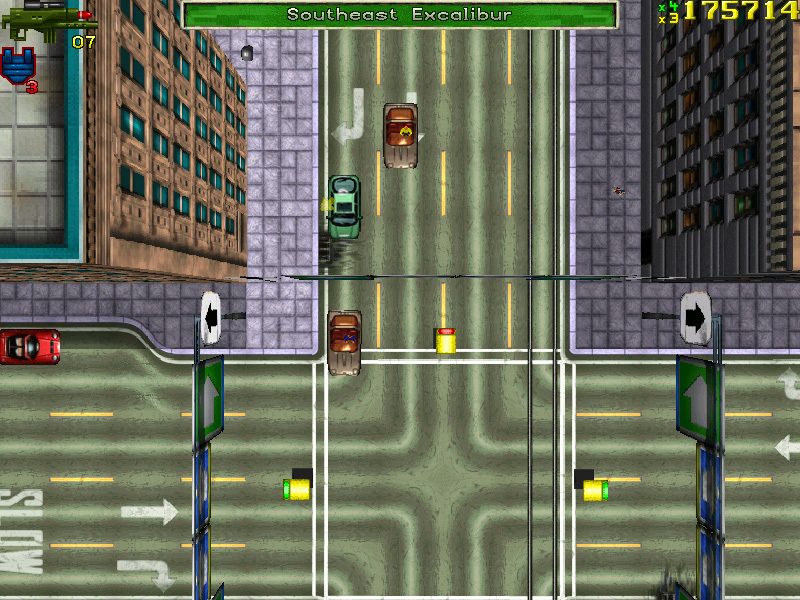 I had heard everyone at high school say that this crazy violent driving game was out, which had tons of violence involved. When I picked up the game in store and looked at the back for screen shots, the graphics looked like Super Nintendo quality and I didn't like the idea of playing a top down video game in 1997 on a 32-bit console. I chose the Duke Nukem 3d (a game I already had and loved on PC) Playstation port instead. Duke Nukem sucked and was a terrible port and to this day one of my biggest shopping regrets ever. 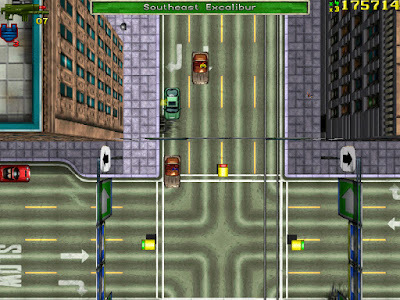 Not long after I rented Grand Theft Auto from Vidbiz in Collier Row and ended up doing so all the time throughout 1998. 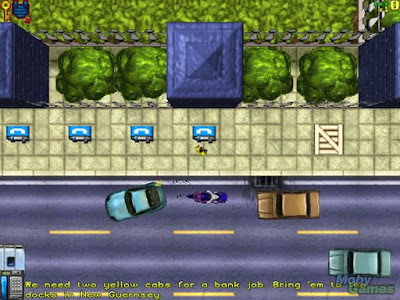 So Grand Theft Auto is a video game where you take the role of a two bit criminal who makes his way up the criminal ladder by taking jobs given out by payphones. These jobs range from bank heists, bombings, drug deals, murders and many more dark deeds. 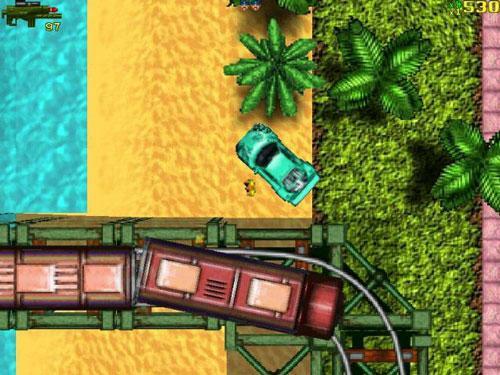 Another way of completing Grand Theft Auto was by scoring points by raising as much hell as possible. Due to this feature the game was one of the first ever sandbox type games where you could explore the world at your own leisure. It was this type of freedom that set apart this game from other adult titles where the games brutality and violence was really down to the players own aggression or mood. 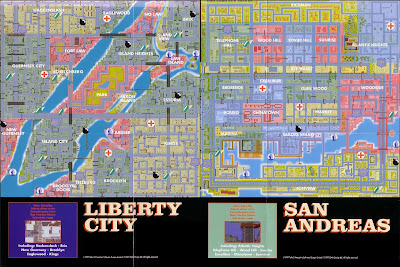 The game was very large in terms of maps which had 3 giant cities for you to explore and cause as much havoc as possible. The game was full of lots of different cars and bikes which all handled differently and had different music tracks for radio stations. 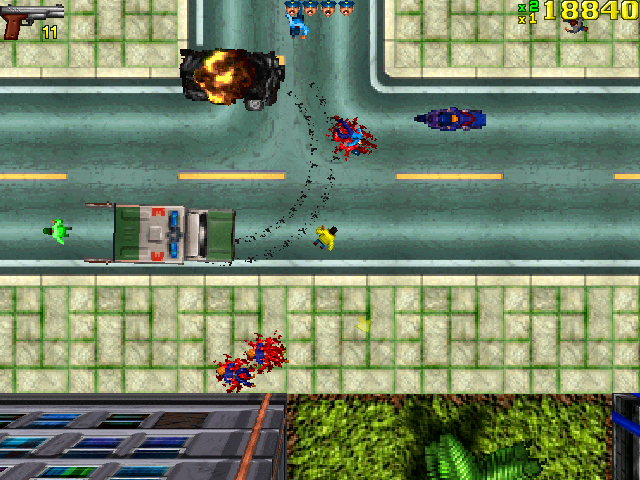 The game also had a good variety of weapons ranging from a standard pistol to a rocket launcher. The game also featured secret missions and mini games including Kill Frenzy which once activated the player scored points by committing the most murders as possible in the allotted time. Another odd points bonus would occur if you managed to wipe out a straight line of Buddhist pedestrians with a vehicle. Although the game had decent driving mechanics and giant maps with unlimited freedom, the game did suffer from terrible combat mechanics. Being a top down game made accurate shooting extremely difficult in combat situations. The player can only shoot in the direction he is facing and it takes a fraction of time to turn him in that direction. So blowing up cars and non aggressive NPCs is no problem but when facing an aggressive element such as police and other enemies, its very difficult and they are always very accurate when it comes to shooting you. Unless you have armor equipped you will die in one shot. The police in the very first Grand Theft Auto are as cheap as hell and literally turn up the second you commit a crime and turn up in force. Their AI is very simple- to destroy you and keep re-spawning at any cost. The only way to shift them is by collecting stars strategically placed around the map or completing the current mission. Another thing which hasn't aged well at all is the mission structure. Once you are on a mission that's it! if you die or fail you will never be able to retry it unless you power off your console. There was a saving option bu this was only available after completing each map. Another thing which has not aged well at all is the navigational system of the game. 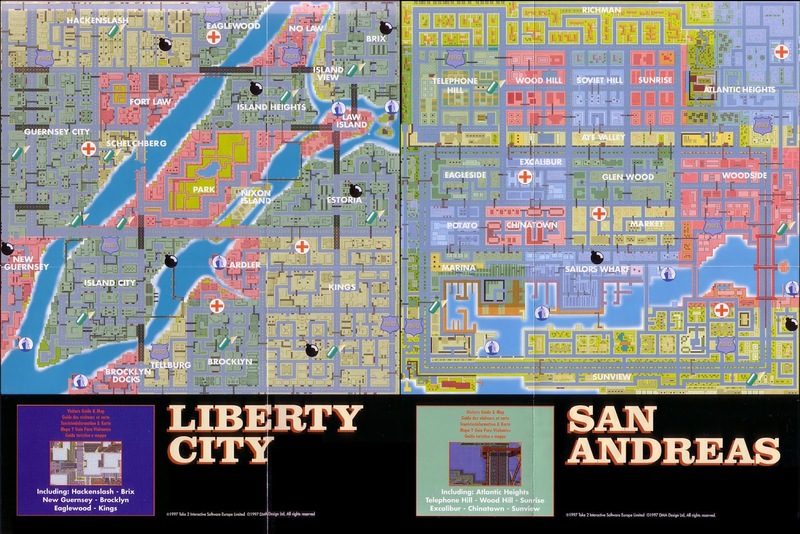 The game sports 3 giant maps of Liberty City, Vice City and San Andreas but without a map on the pause menu, all we had to go on was the giant printed map which came with the game manual (which most people lost) to navigate your way round. There was an arrow which pointed from your car to indicate which way to go but it wasn't much use if you were stuck on the wrong side of the map making a 20 minute mission into a 3 hour road trip. Minus the above mentioned flaws of Grand Theft Auto its still a great game to play and something which can be mastered and learned by spending countless hours playing and learning. 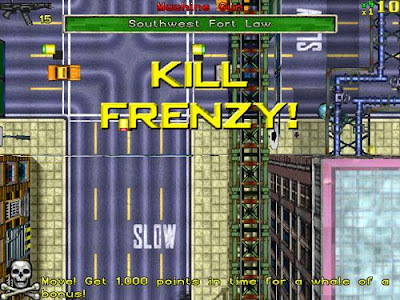 The freedom it gave us and the fact we could bring out the sociopath in all of us just by playing a top down driving simulator was what made it stand alone when it came to videos games from back then. This is also what made the game one of (if not THE) most controversial video game titles of all time. Like always liberal douche bags were using the title as a scapegoat to blame all of Americas social problems on at the time. 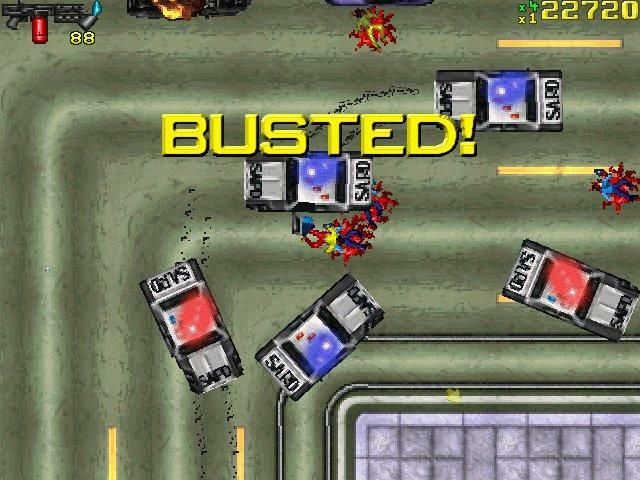 Another game which got blamed for violence and crime among young people. My take has always been that if kids were playing at home on their Playstations then how could they be out stealing cars and stabbing nuns? .. Oh yeah. One day if someone starts crucifying and stoning people to death in the streets after reading the bible.. will they ban that? 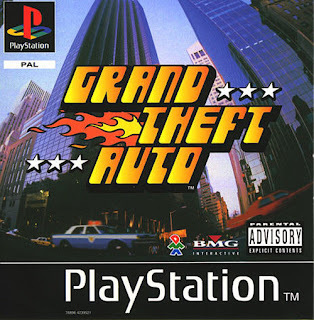 Grand Theft Auto had another 2 top down sequels (one of which a London expansion pack) and made the jump from 2d to 3d in 2001 with GTA III and now the franchise is the biggest selling game of all time. 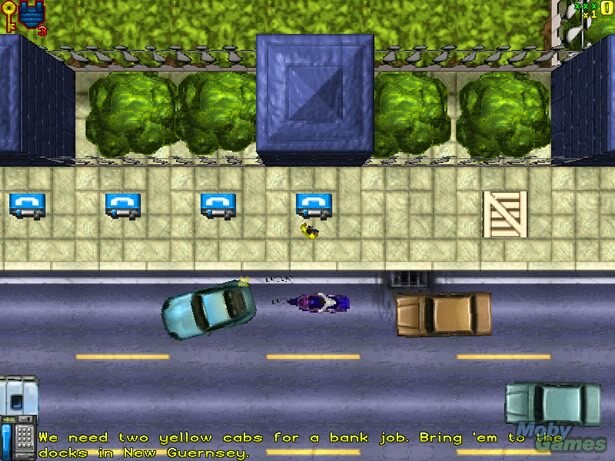 Grand Theft Auto is up there with Super Mario when it comes to the most innovative and important video games, but unlike Mario.. this one has not aged well at all.